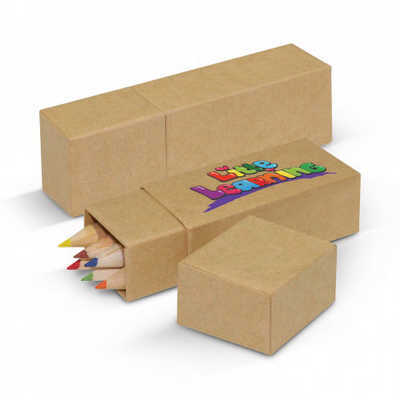 Six coloured pencils in a robust cardboard box. Colours: Natural. Dimension: W 31mm x L 95mm x 21mm. Print Description: Box Lid- 25mm x 20mm (one colour). Print Type: Pad Print. Packing: Loose packed. Price includes : Printing Per Position. Setup is included.